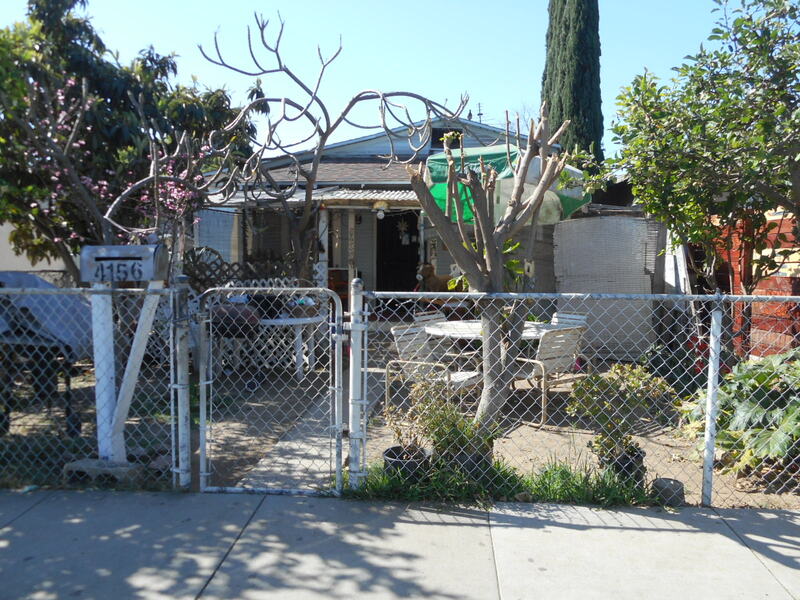 DESCRIPTION: 2 BEDROOM, 1 BATH HOME IN AN UNINCORPORATED AREA OF L.A. COUNTY. THE HOUSE FEATURES A LIVING ROOM & KITCHEN. ADDITIONAL REAR BEDROOM & BATH MAY NOT BE PERMITTED. WALL HEATER. DETACHED CARPORT. GREAT FIXER OR POSSIBLE DEVELOPMENT SITE. BUYERS SHOULD CHECK WITH THE COUNTY OF LOS ANGELES FOR CURRENT BUILDING & ZONING INFORMATION. DO NOT DISTURB TENANTS. PERSONAL PROPERTY NOT INCLUDED IN SALE. MONTH TO MONTH LEASE AVAILABLE UPON REQUEST. CLOSE TO SCHOOLS & SHOPPING. NO COURT CONFIRMATION. INCOME: $575. PER MONTH. MONTH TO MONTH TENANCY. LOT SIZE: 4,874± SQ. FT.